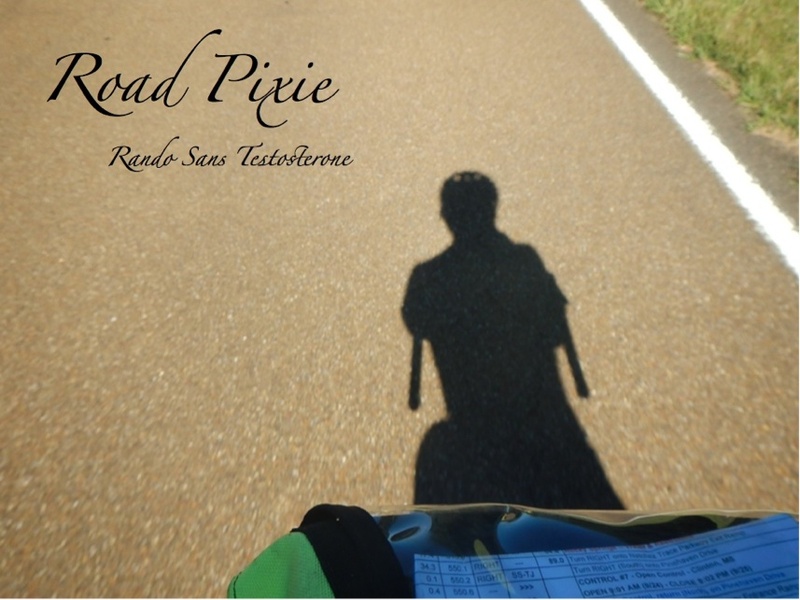 This past weekend may have been the pinnacle of Road Pixie's yearly quest to lure IronK deeper into the sport of cycling. Along with the infamous Shredder (so named for his amazing ability to go through tires at the most inopportune time), IronK succeeded in completing the 43 mile Crusin' the Coulees biannual ride. Highlights included a civil war era cemetary conveniently located halfway up a very large climb (no really the tombstones were way cool). Also, the $5.50 prime rib sandwich at the Waumandee Resort that saved us from certain starvation. 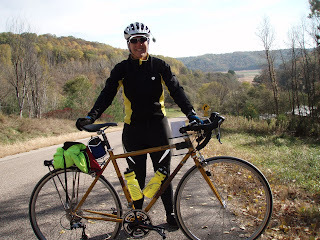 This was also the second ride for the Golden Goat, Road Pixie's fabulous climbing machine. A Salsa Casseroll with a compact crankset and a mountain biking rear derailleur, the Golden Goat boasts a gear ratio lower than a triple (I did the math). 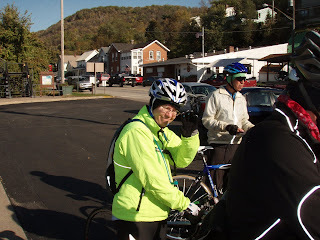 Alas, IronK had a triple and so relied on her iron thighs to push her way up.